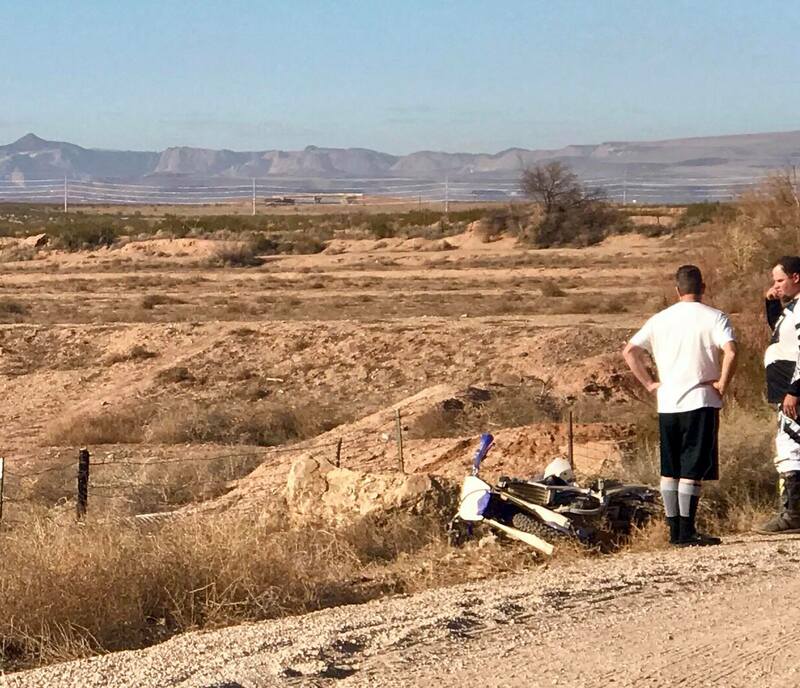 ST. GEORGE — A man suffered serious injuries after crashing his dirt bike off the road in Warner Valley Monday afternoon. 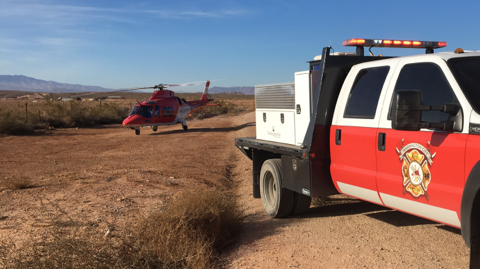 Emergency personnel from Washington City Fire Department responded to the incident at 2:05 p.m. on 4700 East, a gravel road near the Utah-Arizona border in Warner Valley. The man was riding along the road with another rider at the time of the crash. “He lost control, which caused him to go off the road and into an embankment,” Washington City Fire spokesman Julio Reyes said. Some nearby bikers stopped to help, and 911 was called. Emergency responders pinpointed their location via GPS. “Before the EMS crews arrived, the patient was unconscious for a few minutes,” Reyes said. The rider was wearing full protective gear when he crashed, including helmet and chest protection. By the time medical personnel arrived, the rider was beginning to regain consciousness and was able to answer questions asked by the responding EMS crews. The patient is believed to have broken his femur, Reyes said. “He will have to be evaluated at the hospital before we know how significant his head injuries are,” Reyes added. Given the nature of the rider’s injuries and the remote location, a crew from Intermountain Life Flight arrived to transport the patient to Dixie Regional Medical Center by air. The crash is believed to be accidental. “He wasn’t being unsafe or reckless at all,” Reyes said of the rider, noting that he took appropriate precautions like wearing protective gear and riding with another person. Emergency personnel from Washington City Police Department, Washington City Fire Department, St. George Fire Department, Gold Cross Ambulance, Intermountain Life Flight and Washington County Sheriff’s Office responded to the incident. Hard to imagine what would cause someone to lose control on a gravel road with minimal traffic……. Good news that the guy was wearing protective gear, but a reminder that even though all the gear can only reduce the impact from injuries. Thanks to the first responders.